ARCHOS, an award-winning innovator in consumer electronics, is pleased to announce the unveiling of its Gen10 XS tablet line. The ARCHOS 101 XS, a 10.1-inch tablet that weighs only 21 ounces and measures 0.31 of an inch thin, will be the first of this new line of extra slim Android tablets to debut mid-September followed by the release of the ARCHOS 97 XS and ARCHOS 80 XS later in 2012. 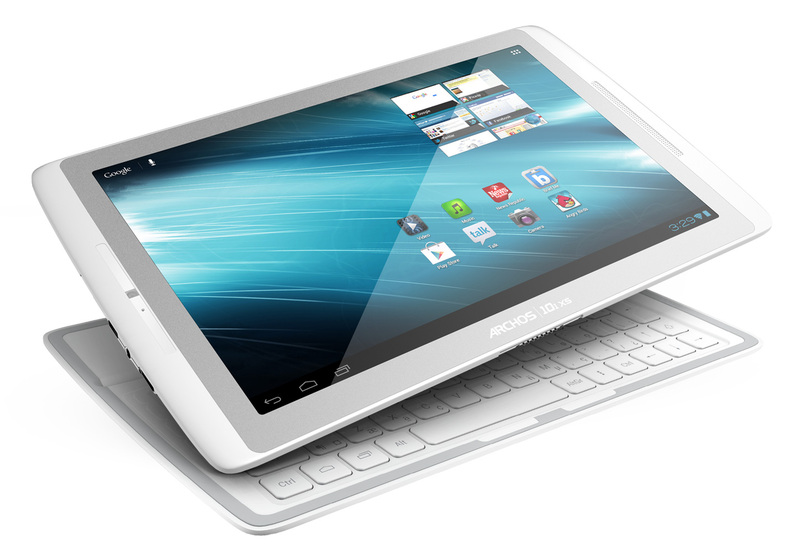 In addition to creating a new standard of thin for tablets, ARCHOS continues to push the technological boundaries with the innovative Coverboard, a unique magnetic keyboard conceived for each tablet model that will offer protection, a kickstand, docking and easy typing. The Coverboard is included in the box with each tablet. The entire Gen10 XS line is Google certified, features Android 4.0 and allows full access to Google Play featuring over 600,000 apps. The range will be upgradable to Android 4.1 Jelly Bean in 2012. The ultra-thin magnetic Coverboard included with all Gen10 tablets enables users to protect, stand and dock the tablet as well as type with a full-size QWERTY keyboard. The 0.2” thick protective cover is secured to the tablet with magnets. To open, the Coverboard simply twists to separate and reveal the full keyboard and magnetic kickstand. The magnetically guided docking system enables perfect alignment on the keyboard, eliminating the need for clips or stands. The integrated magnetic kickstand holds the tablet to the Coverboard as one solid unit, allowing users to sit back and enjoy their music and movies comfortably. When docked the Coverboard is powered by the tablet providing hours of productivity. The Coverboard also has a DC in, so when it’s plugged into a power outlet the keyboard functions like a dock and charges the tablet. The Gen10 XS series come fully equipped with a chicklet-style QWERTY keyboard and a complete version of OfficeSuite Pro 6, a $14.99 value. This critically acclaimed application allows you to view, create, edit, print and share Word, Excel and PowerPoint files as well as open attachments and read PDF files. Combine that with a full QWERTY keyboard that also has integrated Android shortcut keys for direct access to main tablet functions for the ultimate in productivity. -Certified by Google, ARCHOS Gen10 tablets include full access to Google Play, including DRM support for downloading books, music and movies. – Play Movies & TV: Thousands of movies including HD titles, new releases, award-winning films or your favorite classics. Powered by an unskinned version of Android 4.0 Ice Cream Sandwich, ARCHOS Gen10 tablets deliver a pure Android experience and will be upgradable to Android’s next OS, Android 4.1 or Jelly Bean. 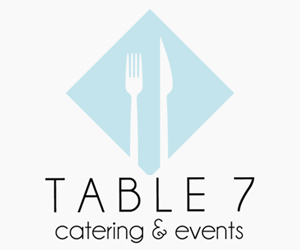 – Google’s suite of mobile applications including Gmail, Google Talk, YouTube™ and Google+. The ARCHOS Gen10 XS series has an assortment of designed accessories including a Speaker Dock, Docking Station and protective carrying Pouches. 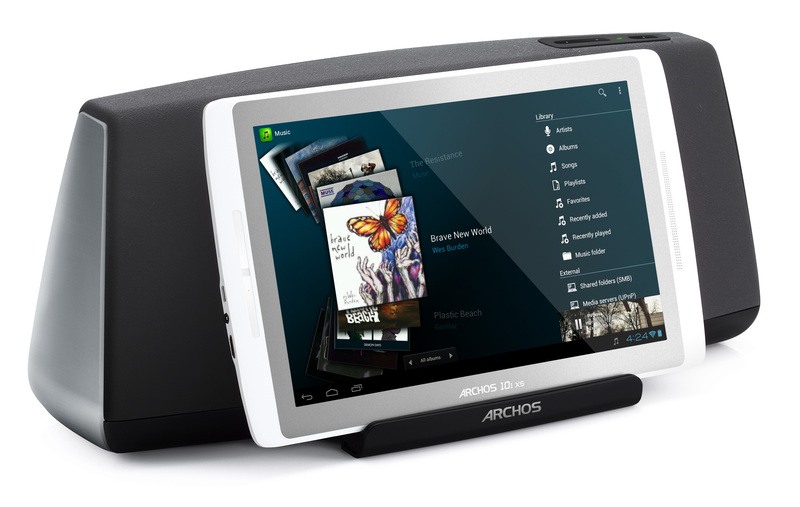 ARCHOS Speaker Dock: The perfect musical companion for your Gen10 tablet easily combines a sleek design with remarkable sound and quick charging station. 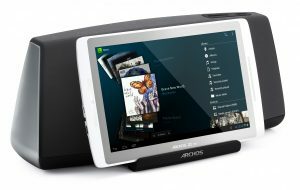 ARCHOS Docking Station: An ingenious little product allows you to charge your tablet while providing a great viewing solution. It also includes USB ports and audio ports for easy connectivity to a hard drives and existing stereo system from your tablet. ARCHOS Pouches: Provide protection and an easy carrying solution for tablet and Coverboard. They will be available in a large selection of colors and finishes. 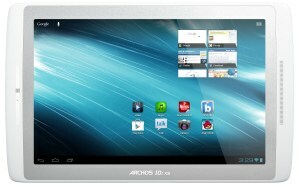 The first tablet in the Gen10 series to be released will be the ARCHOS 101 XS. The 101 XS tablet, which is 15 percent thinner than the new iPad3, weighs only 21 ounces and measures 0.31 of an inch thin and will be in stores and online in North America starting in November with a suggested retail price of $399.99. The Google Home Hub has a 7 inch display and doesn't have a camera. Is this smart display worth the price? 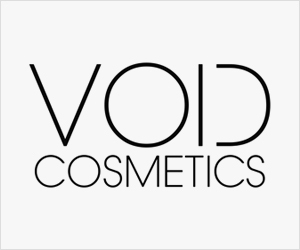 Learn more about the features. The JBL Live 650BTNC Noise canceling wireless headphones offer ANC, and a long battery life. How do they hold up after hours of use?